Podcasts are rich media content that usually contains audio, sometimes with video, PDF, and other digital files. They are listened to either online from the podcast site, downloaded manually, or pushed automatically to computers and personal media players through web syndication. There has been a steady growth of awareness and listening to podcasts year on year, perhaps due to the increase of personal medial players in different forms such as smart phones and tablets. The popularity of iTunes can also be considered an important factor, since many podcasts are now available through it. No matter how the podcasts are listened to, they give several advantages to certain groups of listeners like project management professionals. Project managers in particular can take advantage of the benefits of listening to podcasts. For instance, project management podcasts are considered a horizontal media form, which means that the producers or podcasters are consumers themselves, and consumers or listeners can easily become producers also. Both sides can engage in conversations, and since podcasts are an intimate way of delivering content, project professionals can build strong learning partnerships with one another. 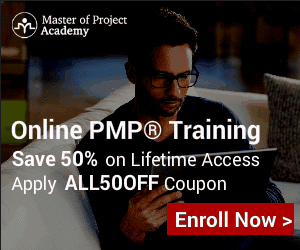 Another important advantage of listening to project management podcasts is using it to fulfill the PMI’s Continuing Certification Requirements. Just by listening to a PM-related podcast, project managers can earn Professional Development Units (PDU) to help them accumulate the required PDUs during the 3-year cycle. According to the latest PDU Category Structure and Policies from the PMI, 1 PDU can be earned for every 1 hour spent in a self-directed learning activity (Category C), and up to a total of 30 PDUs per cycle can be earned for this category, of which listening to a podcast qualifies as a self-learning activity. Other advantages include being able to connect to other project managers, having a more convenient and personal way of getting information, and also spending less to obtain valuable information, since many podcasts are free. Below is a list of the top 5 project management podcast sites we have come across. Criteria in choosing include having options for free or paid subscription, having the most recent podcast activity, regularity, availability of other PM resources, and options for listening to the podcast. Highly Recommended – The PDU Podcast helps PMPs and PgMPs earn PDUs comfortably. The podcast site is also brought and produced by the same people producing the Project Management Podcast. The difference is that the PDU Podcast is a premium paid site that allows listeners to earn Category A PDUs, as it is a PMI Registered Education Provider, and the choice of either a monthly subscription of $19.99 or an annual subscription of $199.99 that guarantees 21.75 PDUs for the Year 1 podcasts. Year 2 and Year 3 monthly video webinars are presented by known personalities from the PM, management, and business fields. Project Management Podcast offers both a free and a premium podcast subscription. The premium subscription costs $5.99 per month or $59.99 per year. Advantages of the premium subscription include availability of all episodes, which compared to the free subscription, only consists of the last 10 episodes. This PM podcast site offers several ways to be updated of the podcasts which include iTunes, FeedBurner, Google, and Yahoo. The People and Projects Podcast is a PM podcast from Andy Kaufman, PMP. He works with clients all over the world as a speaker, author and executive coach to help these people and organizations improve project delivery and team leadership. This podcast site offers both a free and a premium subscription, with the premium costing $9.97 per month or $97 per year. The updating of the podcasts is available on iTunes, by email, by FeedBurner and other web-based podcatchers. The Sensible PM Podcast is from Mark Phillipy, a project manager with more than 15 years of experience in the IT industry. His free podcasts are aimed to help bring PM insider information and practical tips to listeners. The site has two podcast sections, the Sensible PM Podcast and the Sensible PM 101 Podcast, with the latter dealing with more basic principles. The podcast can be played online from the site, downloaded or be viewed via Google+ Hangout. 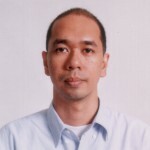 Ricardo Viana Vargas is an experienced project, portfolio and risk management specialist with several credentials including PMP, PMI-RMP, PRINCE2 and MSP. He is also an author of 12 books and the current director of the Project Management Practice Group at the UNOPS. His site delivers 5-minute PM podcasts every two weeks or so, tackling a variety of concepts, views and news. The audio can be listened to online or downloaded through free apps for the iPhone, iPad, and Android devices. The podcasts are also available in Brazilian Portuguese language. Podcasts are considered a converged medium because of its ability to combine several technologies. It is also considered a disruptive innovation due to the challenge it poses to standards and norms such as those established in the radio business. All of these characteristics, however, are giving advantages and benefits to many people, including project managers, because of the freedom to easily create valuable content and the availability and ease to receive them.